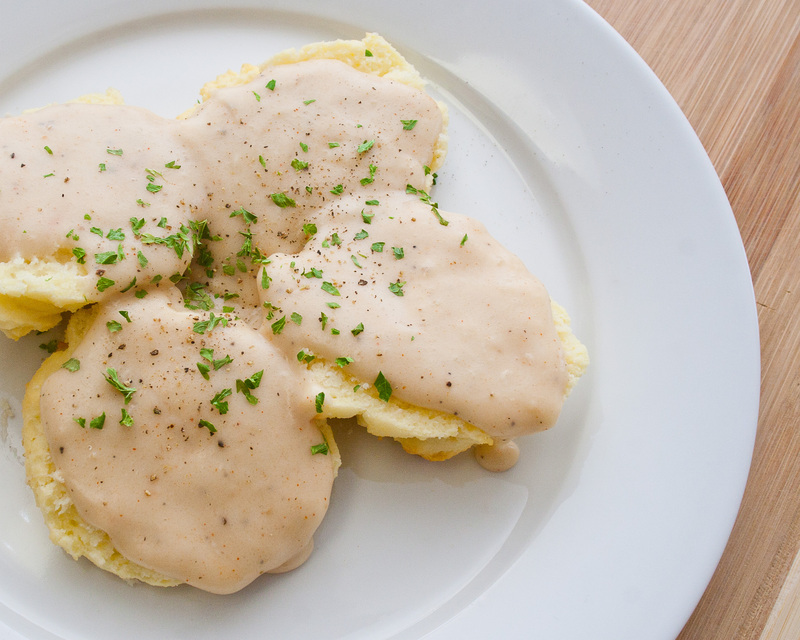 Back before I was gluten-free and vegetarian, I would always get biscuits and gravy at diners. I was obsessed. I would just push all the bits of sausage to the side. So now that the traditional recipe is pretty much off limits, I decided to make a version that I could eat! Biscuits: Make desired amount of biscuits by following package directions on Gluten-Free Bisquick. You can make yours from scratch if you like, but gluten-free flours can be such a pain that I prefer to use a foolproof method! Melt butter in saucepan over med-high heat. Mix in flour and stir to form a kind of paste (a roux). Add almond milk and soy creamer, stir well to break up the flour. Stir in all seasonings except parsley. Heat to boiling. Boil until gravy reaches desired thickness, usually 1-3 minutes, then remove from heat while stirring constantly. If you want to include crumbled (and already cooked) vegetarian sausage patties, stir them in now! 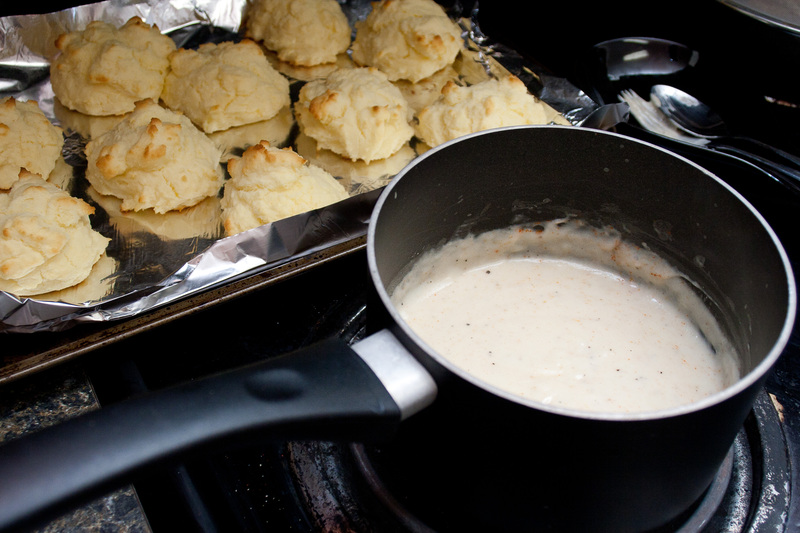 Serve immediately over warm GF biscuits! I created this recipe and took these photos quite some time ago, but I’m FINALLY posting it since I’m making them in celebration of this year’s first Football Sunday. Hooray!! Oh yum! I’ve been on a dairy-free and gluten-free diet for a while now. 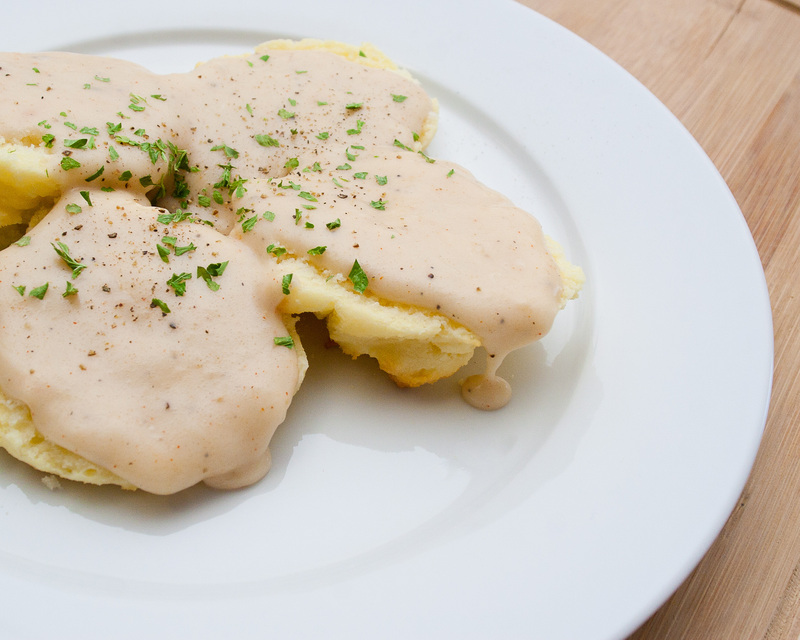 I think about biscuits and gravy every now and then but I have never attempted the GF, DF versions. I must try them soon. I hope I can find the GF Bisquick. The GF Bisquick has been pretty easy to find around me, it’s usually right next to the regular Bisquick in the Baking aisle of the grocery store!